Smize Foundation is a family of committed high school students who work to strengthen communities. 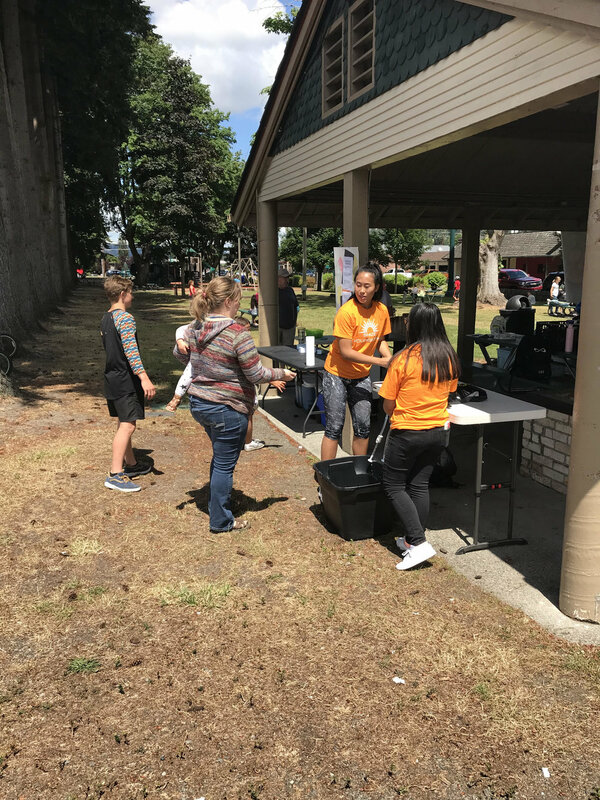 We are united by a vision to make a difference in our community for all by volunteering, serving kids during the summer, linking high school students with local food banks, spreading awareness of community outreach and fundraising. We are recognized by the Secretary of Washington state and a non profit corporation. Our mission is to bring light on child hunger and making sure no kid is without food. At the age of 15, Lily Lloyd started a non profit to feed her community. Smize Foundation is an organization that began after Lily volunteered her summer feeding kids in her local park. Lily noticed that kids who are waiting for a free lunch didn’t smile and are often shy. Lily would smile big and smile with her eyes (Smize) to let them know there was no judgment and to show love. Lily started volunteering because she needed college volunteer hours. When she recognized some of the teens and even parents, she realized hunger affected people she knew. Lily wanted to make a difference and impact. As the CEO of Smize Foundation, Lily’s ambition is to create a ripple affect and have schools around the nation joining in on her vision and high school students involved in their local food banks to feed their community. Copyright 2018 SmizeFoundation.com | All rights reserved.